While chatting with a local friend over coffee, she asked, “When you move to these different cities, how do you know where to start looking for a house?” Good question! 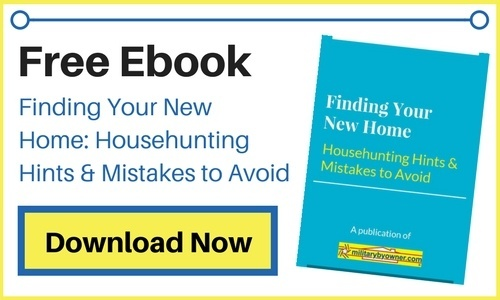 Here are my quick tips to make the most of your househunting experience, whether you're looking for a rental or plan on buying a home. If you have a few military moving experiences under your belt, what would you add when it comes to looking for a future home? 1) As soon as we have official orders in hand, our house hunt begins online. Much like binge watching home and garden television shows, I could scroll through property listings for hours! Plus, MilitaryByOwner makes it so easy. 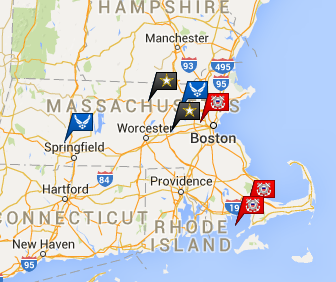 With a simple click on the interactive map of the MilitaryByOwner.com home page, I can see where military installations are located within the state we're headed to. From this map, I can see if the base is landlocked, located along a coastline, and what cities the base may be near. 2) Next, I can read through a list of brief descriptions of military installations in the area. 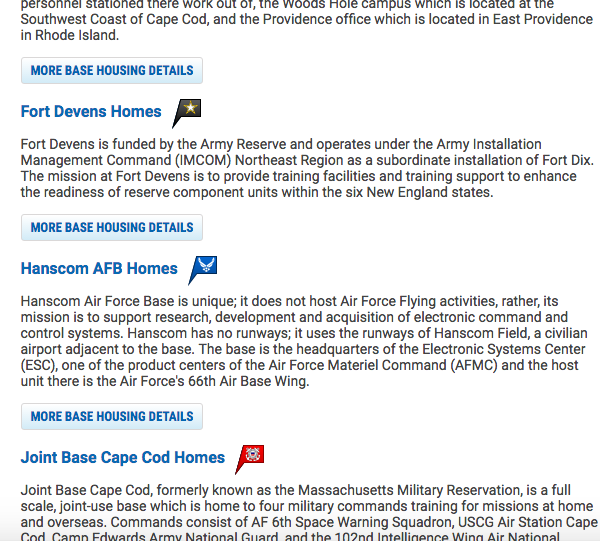 3) From there I click the “More Base Housing Details” button to open a page devoted to that specific military installation. the address of the base and the names of the local towns nearby--this point is particularly valuable information if we choose to live off base, and I begin to map the area and sort through property listings. 4) Like I mentioned earlier, MilitaryByOwner makes a property search as simple as clicking an “easy button”! Or, scroll up the page to click the “View All Listings” button at the top of the map. 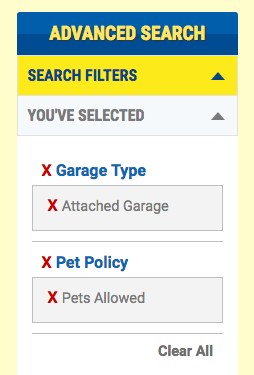 By selecting either of those two items, I can browse the list of properties in the current MilitaryByOwner inventory. Thankfully, as described here, I don’t have to be a computer whiz to navigate this valuable property search engine! If I do run into any bumps along the road, I can pick up the phone and contact the always friendly Customer Service team at 866.604.9126 or by clicking on the Contact Us tab on the MilitaryByOwner website. 6) Circling back to the topic of “where to start looking for a house,” our family also considers these points. When we know where we'll be assigned, we often ask our friends and former squadron mates what they think of different housing areas and neighborhoods. Most everyone is willing to share their opinions of where they’ve lived! 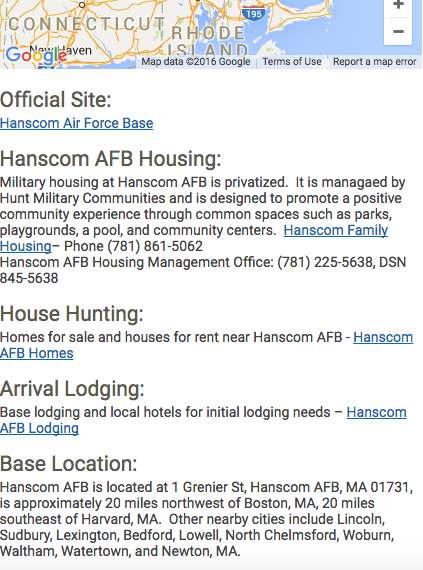 Some friends have even posted neighborhood and community reviews on Military Town Advisor. This handy website encourages military families to post reviews of what life is like where they live. For example, a quick search on Military Town Advisor of housing near Fort Hood brings up 9 different neighborhood names. The reviews detail the good things (and not so good things) of living in that patch of Texas. Having access to this information may help narrow down neighborhood choices when searching for properties online. Doing a little homework on which local schools are the best may help pin-point ideal neighborhoods. An online resource such as the Military Child Education Coalition may shine a light on which schools offer children in military families the most opportunities. By gathering information on local schools, including reviews and opinions via social media, our house hunt may soon seem far less overwhelming. The question posed by my friend of “where to start looking for a house” may have a different answer for each person. In a perfect world, our family would find a spacious home within an easy commute to work! However, we have learned over the years that a treasure like that is not always easy to find. Often, if we are willing to drive a little further, we may end up with the ideal trio – more house, more yard, and frequently, less expensive home prices or lower monthly rent. If you're anticipating a PCS ahead, consider following a path mentioned here towards finding your next home!